Sunday is VINTAGE RACE Day! The Pittsburgh Vintage Grand Prix Car Shows grew up around the race track. Sunday of #PVGP weekend has evolved over 30+ years into THE day for watching the races. 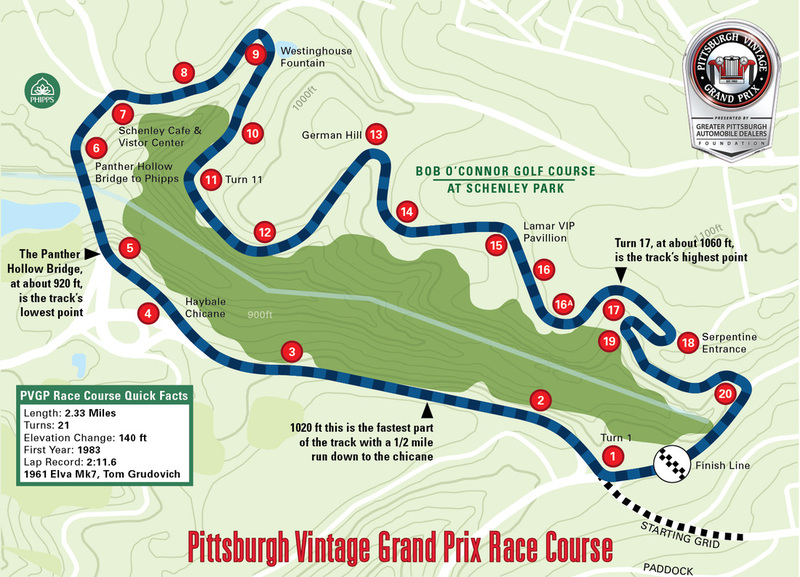 Unique to North America, the Pittsburgh Vintage Grand Prix is the longest running vintage race on city streets. There is one other similar event in the world that you can venture to Monte Carlo to see in person. The Cortile is ONE of SEVENTEEN+ Car shows that take place on Sunday. 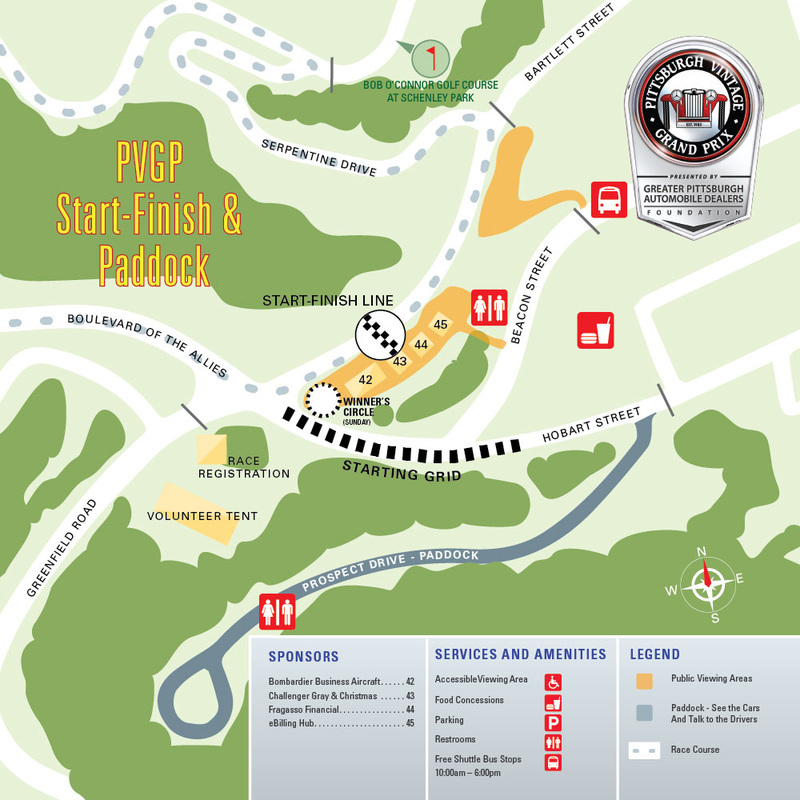 Our Sunday events are focused on the #PVGP Racing and Paddock Tour. We have a very full event schedule listed below. It's a great day to kick off with a tour of the Paddock Race cars and have a shady lunch at our private viewing area in the Westinghouse Pond. 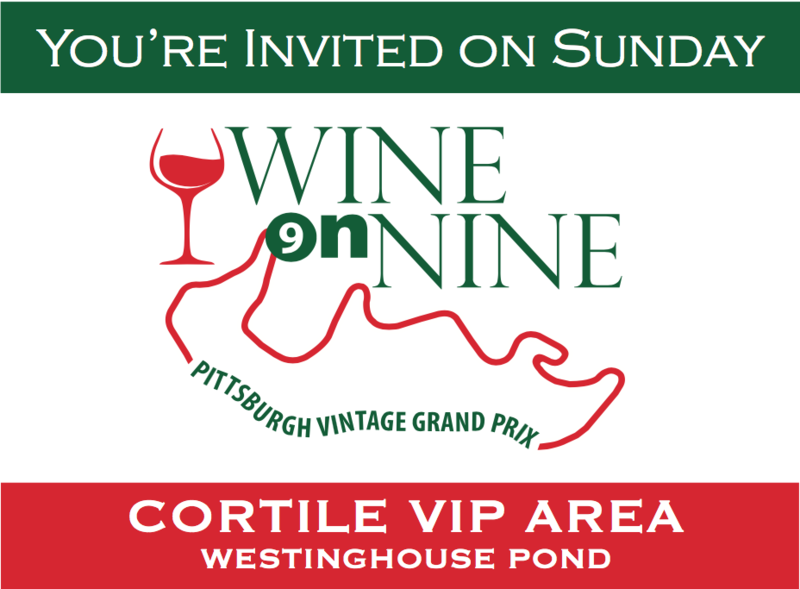 Later, you check out "Concours at the Grand Prix" and view the Patron Parking parties. Gates open for the Cortile! If you have your dash card enter the show field and we'll get you in the same area you parked on Saturday. 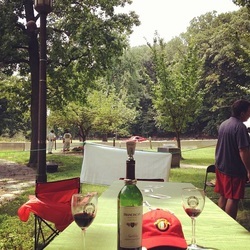 Sunday is "Patron Parking" and one of the best and oldest traditions of the Grand Prix. 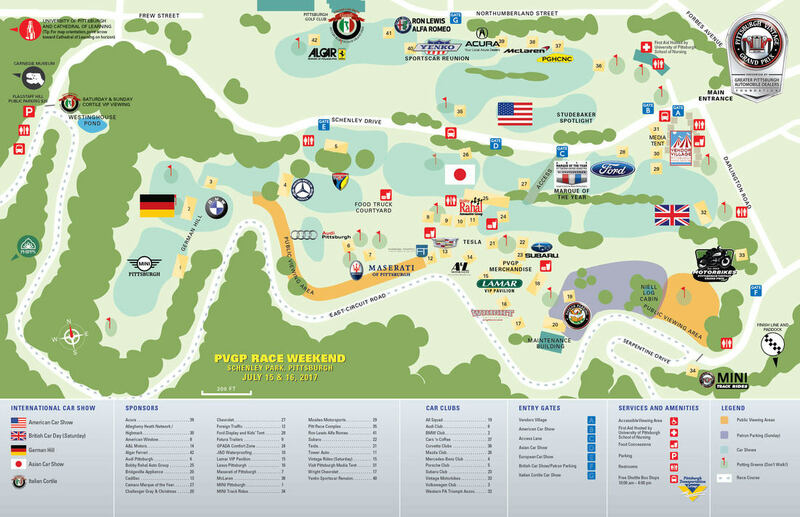 Patron Parking is a reserved parking area on the Schenley Park golf course to watch the races. Assorted picnics, tailgate parties and even lavish catered spreads dot the landscape. Our Tifosi area at the Cortile with private track viewing compliments the Patron Parking atmosphere. Enjoy. It Begins at 10am. The Bus will pick up ticket holders at the shuttle stop at the bottom of the hil and run you over to the Paddock. There you can begin a self guided tour of the Paddock where you can meet and see the Paddock set up of the race drivers that visited the Cortile on Saturday. It's Turn 9 on the PVGP Race Course. Cheer on the Italian Racers! THIS is what the #PVGP is all about! Ron Lewis Alfa Romeo - Featuring a 4C and perhaps the new Nurburgring record setting Guilia! Algar Ferrari of Philadelphia - We welcome Algar Ferrari to the Cortile. You can can check out the latest models of Ferrari on display surround by vintage Ferrari's in the Cortile car show. Lamborghini Club of Western Pennsylvania - Just a little over a year old! Stop by and say hello to this newly formed club with their Bulls! *Gift items subject to availability.